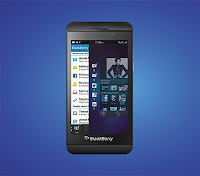 Blackberry's Z10 has a encouraging start in the UK! It's the next few months that will matter! While there's been a lot of debate recently about the possibility of having four successful mobile operating systems in the world at the same time, Blackberry (previously RIM) have pushed ahead and seemingly their BB10-touting, all-touch Z10 isn't doing too bad for itself. AllThingsD are reporting that channel checks conducted by Jefferies & Co. have revealed that the new devices has 'solid' pre-orders in both Canada and the United Arab Emirates! This is a good start, which will provide a good base for the US launch which is later in March, later this year. Several hundred thousand units would be hugely encouraging news for Blackberry. It's widely acknowledged that the handset maker is popular on this side of the pond, but nonetheless that would be a very good result if it is proven accurate! "It's clear that not only are India and Indonesia among the largest markets but in terms of future smartphone growth, they're amongst the ones with the most potential... But the two devices that have been launched are not well aligned to the needs of these two markets." While we wait for the official US launch some cheeky Brits have been buying some Z10's and shipping them across to the US. A pair of "very rare" white Z10's sold for $3000 the other day and a device listed in New York was offered up for $1,775! 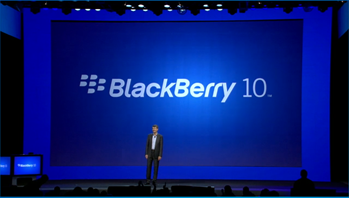 Most Z10's are currently selling to US buyers for around about $1,100 so there's going to be a fair amount of money made from these cross Atlantic deals! If you're after a Z10 then they are available at most phone stores in Britain right now and you'll be able to get one in Canada on February 5, but again you'll have to wait until March if you're in the USA! Via NDTVGadgets (1) (2) and AllThingsD.